CBS News chief medical correspondent Dr. Jon LaPook followed Carol and Mike Daly for 10 years, after Carol was diagnosed with Alzheimer’s and her husband took on the role of caregiver. 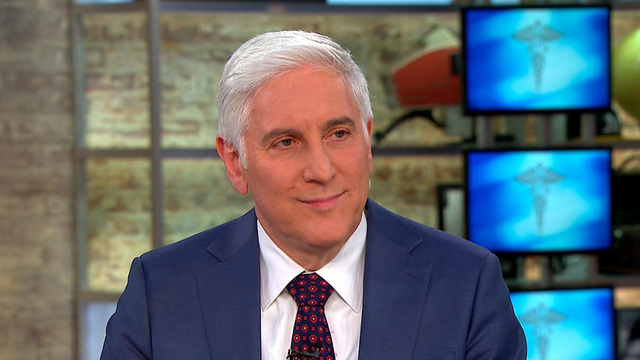 Dr. LaPook joins CBSN to discuss his “60 Minutes” report “For Better or For Worse” and Alzheimer’s in the United States. This program brought back so many memories..took care of my wife for nearly 4 years before having her go to a nursing home..toughest decision of my life…my heart goes out to this gentleman..i spent nearly every day after visiting her and was there when she took her last breath..i still struggle with decisions that were made..we had talked about some over the 38 years together and always included her with meetings about her health…it really doesnt stop with death…i wouldnt change being there, but wish i had more support groups earlier…missing part of my life..this is a terrible disease !! !